Solve All Residential and Commercial Roaches Infestation Today! Squirrel problem inside the basement of the house and problems GONE NOW! 1000% Recommendation from Harvey that has mice problems! Charlotte in Hamilton had rats problems in the past , but NOT ANYMORE!!! Robert with Rats problems in his house. Oakville, ONT. Tenant case in Scarborough ON, Centipede Problems in the washroom Solved. I phoned at 5:00 pm, to ask about having a wasp nest removed from the soffit of my house. A very friendly man by the name of Ash was here by 6:30, and by 7:00pm, the nest had been dealt with. There were so many wasps, it looked like something out of a cartoon. I feel like their price is incredibly reasonable. The handle themselves with friendly professionalism. He was more than happy to check out a second area that I had concerns about, and also told me how to keep the mice out of my house in the winter. I would gladly recommend this company to everyone I know. LINDA Customer, I have this people coming to my apartment, and since then everything is clear .They done a good job and i really appreciate their help. Call Maximum Pest Control Today! TANYA TIMBER CREEK MANAGEMENT IN GUELPH AREA! STEVE WILLIAMS IN TORONTO: Roaches Pest Problems Has been SOLVED! I have tried different pest control companies , used the heat treatment which didn’t work so i almost gave up till i called finally my last hope Maximum Pest Control and they came did their magic and now AM Bedbugs FREE. THANK YOU!!! RANDY WATTERS, My pest problems has been solved! to the professionalism of Maximum pest control service , they are prompt , caring & good listeners. they came and listened to what i had to say, they moved the fridge and stove. 4 weeks later my problem has been gone and I sleep worry free! we called maximum pest control to coordinate the problem. We were very pleased with the end result and the great communication with the Technician but also with the Administrative staff. We been clients since then and still are. you guys saved us from another company’s poor work! I called Maximum pest and outlined the dilemma and they arrived here the day after. The birds were humanely taken down. I couldn’t have been more completely happy with their work. They even phoned me a week afterward to be sure that I was no more sharing my residence with a group of birds again! they came the same day for free inspection and set up the traps and all others needed. weeks later with followed treatments all my mice issues has down tremendously to almost nothing. I am genuinely glad to mention with that business maintained by maximum pest management is completed in a very highly satisfactory manner. 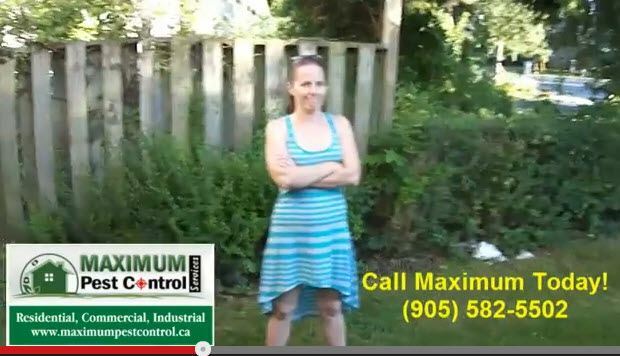 Maximum-Pest Control will get you an effective results Fast! 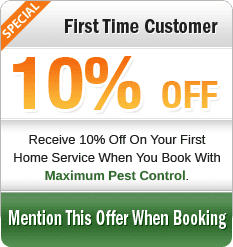 we will recommend Maximum pest control 100% guaranteed excellence service THANK YOU!